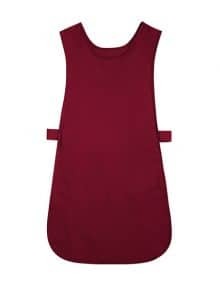 What is a tabard? 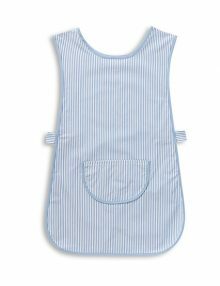 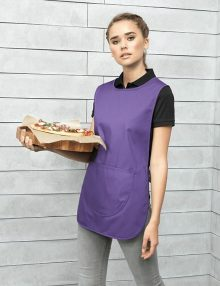 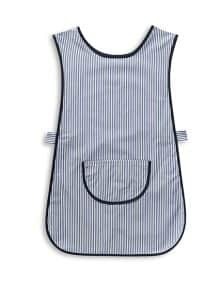 Tabard aprons are usually associated with catering, cleaning or school staff. They’re both safe and practical, as they cover the front and back of the wearer, and are often equipped with pockets which can be used to stow all the tools of the job. Worn by pulling one on over the head, they often have a fastening to keep the front and the back together – this stops the front and back of the tabard apron coming apart when the wearer leans forward. Of course, a tabard apron is an excellent multi-purpose option. 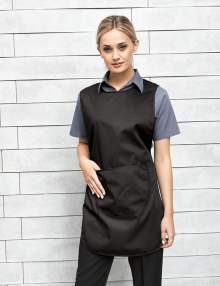 Cleaning tabards might be the most popular use, but we’re also seeing them start to appear in the catering world, giving staff a higher level of protection than a traditional catering apron. 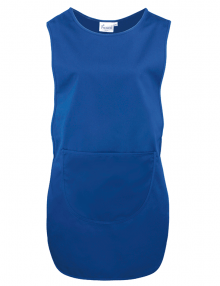 Because they’re such a simple workwear solution, work tabbards are a very cost effective solution. 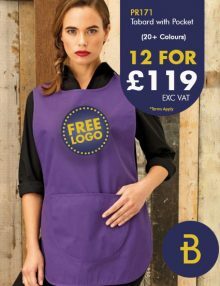 BANKSFORD can provide you with budget tabards in a variety of styles and colours, whether you want a plain black tabard or something more personalised. 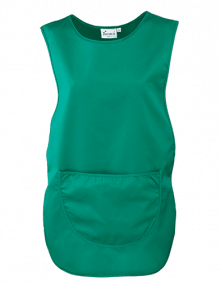 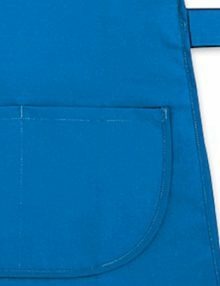 Suitable for men and ladies, tabards might be the perfect work aprons for your company.